What Does Acts 26:14 Mean? 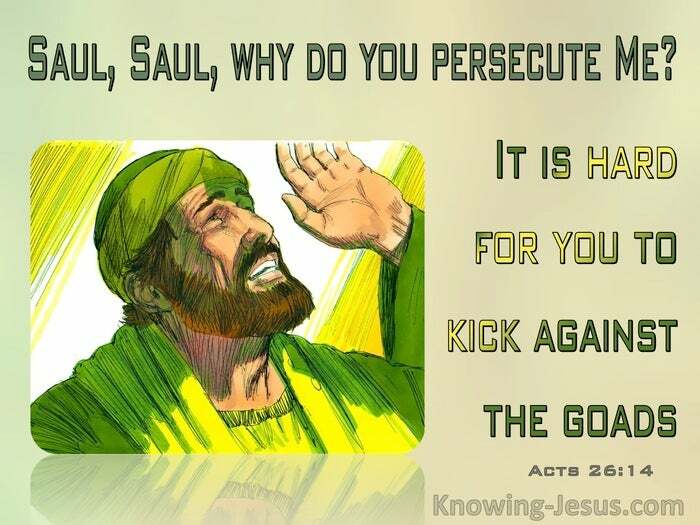 As a young man, Saul of Tarsus had been the greatest opponent of Christianity. He wholeheartedly approved of the violent stoning of Stephen and was so incensed by the new religion.. which was quickly spreading throughout the land, that he determined to destroy it. He gained permission from the Jewish authorities to seize all who were following Jesus of Nazareth, and throw them into prison. But the Lord met with him on the way, as turned his life upside-down. That encounter caused 'Saul the Persecuted' to become 'Paul the Apostle'. He not only became Christ's devoted bond-servant, but was commissioned as His chosen vessel to take the gospel to the Gentiles. Throughout his ministry Paul faithfully fulfilled his assignment, and discovered that God's grace is sufficient, for His strength made perfect in our weaknesses. 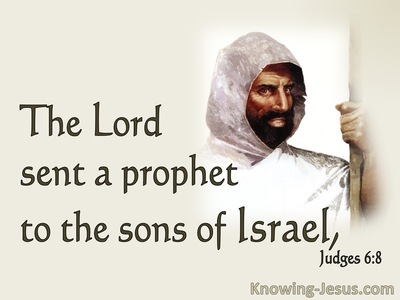 Much time had passed since that meeting with Jesus on the Damascus road, but the testimony of his conversion to Christianity was told on many occasions, and in Acts 26, this champion of the faith was to once again share his supernatural encounter with some high-ranking Gentile officials. This time it was to king Agrippa, queen Bernice, Governor Festus, and other dignitaries... but Paul was there as a prisoner and stood before them in chains - in defence of the gospel. The Jews had been baying for his blood and had hatched an evil plan to kill him, but Paul, a citizen of Rome, had appealed to Ceasar to ensure he received a fair trial. Despite his chains, Paul viewed the people who were assembled in the courtroom as his captive audience, and used the opportunity to tell them the gospel of grace and their need for salvation. When speaking to Jews, Paul used the Law and Prophets to explain the truth, and when addressing Gentiles, he drew from his own testimony as well as Gentile customs. As he stood before the assembles company, Paul knew this esteemed jury understood many Jewish customs... and so he not only appealed to their understanding of the Jewish Law, but also rehearsed his encounter with Christ, on the road to Damascus. His vivid description of the dazzlingly, bright light that stopped him in his tracks at midday, must have peaked their interest. 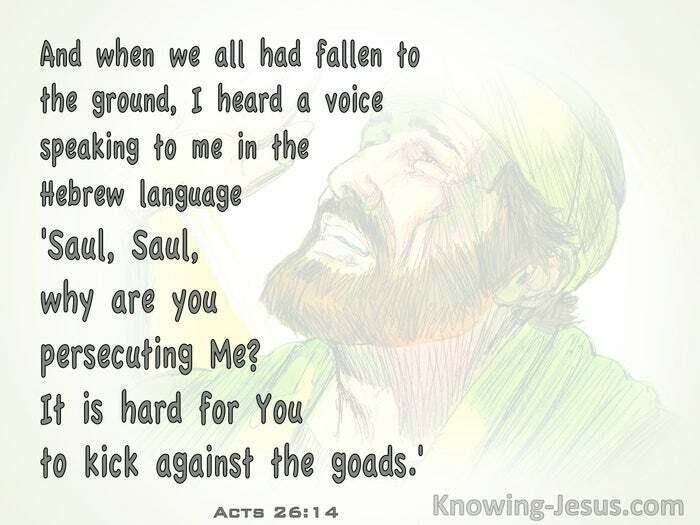 "And when we had all fallen to the ground," he continued, "I heard a voice saying to me in the Hebrew dialect, 'Saul, Saul, why are you persecuting Me? It is hard for you to kick against the pricks." This transforming incident altered the course of Paul's life. This proud Pharisee, who formerly applauded his own righteousness, discovered he was working in opposition to the Lord God almighty. The prideful Pharisee became the humble believer, who later identified himself as the slave of Christ and 'the worst of sinners'. 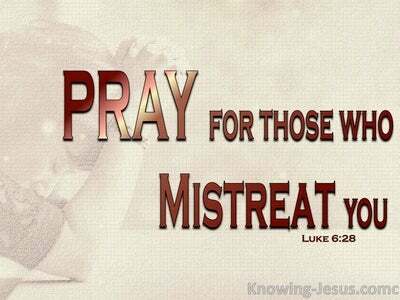 By oppressing Christians, Paul realised he was challenging God; persecuting His Son; opposing the Creator - kicking against the pricks. By inflicting pain on the Body of Christ, he was persecuting the Son of God - the promised Messiah of Israel and Saviour of the world. As he continued to relate his encounter with the risen, ascended, glorified Christ, and tell the court all that Jesus said, Paul likened himself as an obstinate mule. "It is hard for you to kick against the goads." 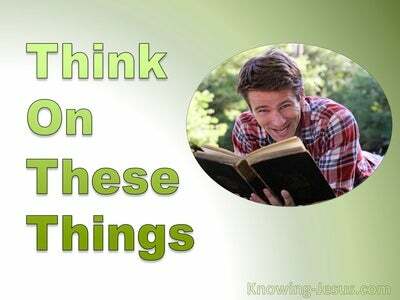 were Christ's chastening words to him. Goads are sharp, pointed instruments that are used to chasten stubborn animals, who refuses to obey their master's instructions. But in the life of men, it is not only disregarding our innate, human conscience but can often be resisting the Holy Spirit and impeding His convicting work in our life. May our hearts be open to the promptings of the Spirit and may we be ready and willing to become bond-servants of Christ, and be ready to give an answer for the hope we have in Him.. for His greater praise and glory. Heavenly Father, thank You for the example of Paul who turned from being a proud Pharisee and the worst of sinners into a devoted bond-servant and faithful apostle of Christ. I pray that I may be ever open to the inner promptings of the Holy Spirit and that You would use me as a witness of the truth, in whatever way You choose. 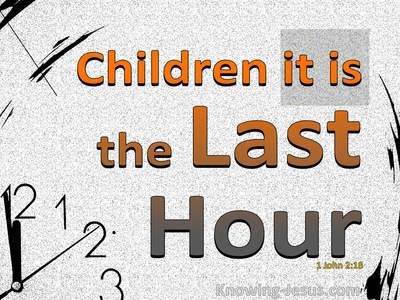 This I ask in Jesus' name, AMEN.